Grew Up… born in 1984, or so she says. It’s hard to believe she’s that young, but Kalinda keeps her past (and her present) as mysterious as possible. There is no mention of any family having raised Kalinda; her street smarts and general savvy make it seem like she could have raised herself. Profession… in-house investigator for the law firm Stern, Lockhart, & Gardner. Kalinda traffics in the more ethically dubious side of the law, often using unorthodox methods to get the information she needs. She tails jurors, impersonates neighbors, and breaks into apartments to dig up information for the firm. Before working at Stern Lockhart, Kalinda worked for the State’s Attorney office under Peter Florrick. 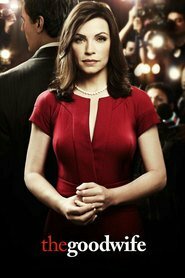 Now Kalinda often works alongside attorney Alicia Florrick, Peter’s semi-estranged wife. Interests… cars and weapons. Kalinda likes driving fast. She definitely owns and isn’t afraid to use a baseball bat, though she doesn’t play baseball. Don’t mess with Kalinda. Challenge… occasionally letting someone past her defenses. Kalinda is intensely private, cynical, and highly individualistic, yet she can also be a great friend. She lies to strangers without hesitation, but finds it difficult to be dishonest with friends. Her challenge seems to be finding a balance between that loyalty to others and her private, withdrawn nature. She and Alicia are beginning a tentative friendship; it’s a start. Kalinda Sharma's popularity ranking on CharacTour is #3435 out of 5,000+ characters. See our top-ranked characters and read their profiles.